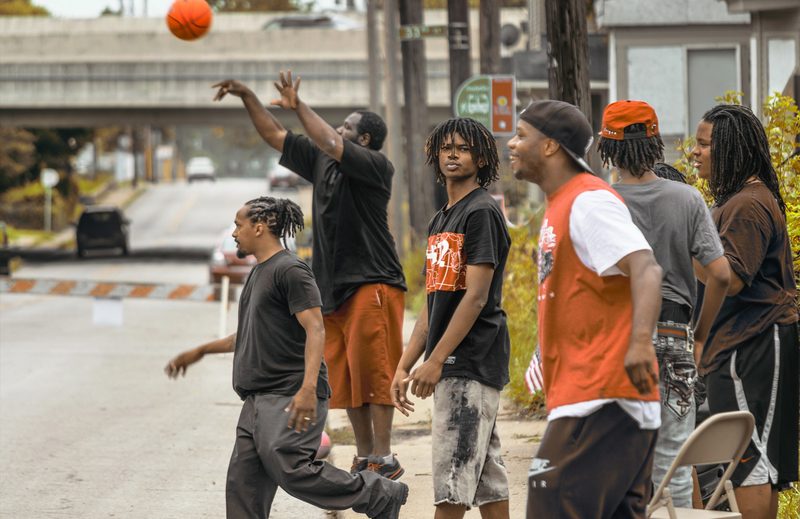 At 29th and Clifton, near Riverside, there’s a sense of collaboration, unity and pride. 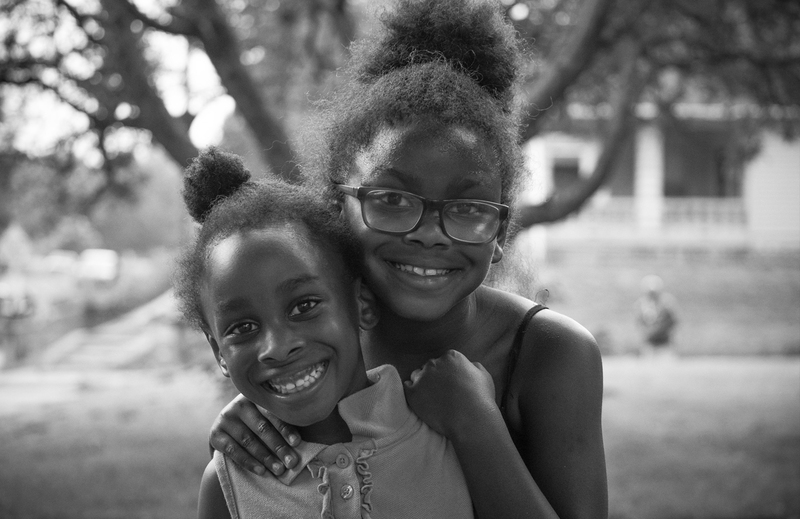 It’s a place where neighbors look out for each other and not-for-profit organizations passionately amplify the gifts and assets of the community’s youth and young adults. 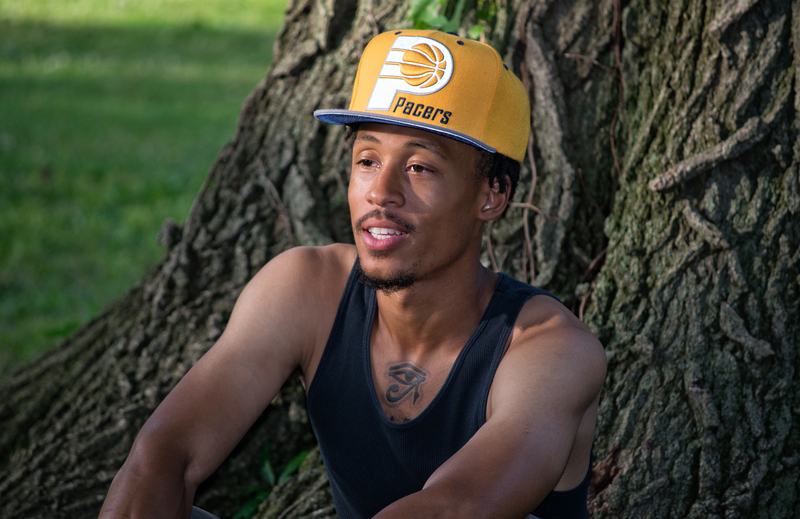 In this month’s episode of For Good, CICF ambassador and resident, DeAmon Harges, along with a few of his neighbors, highlight the talents and opportunities of their community. Click to enlarge map. Map created by Naplab. 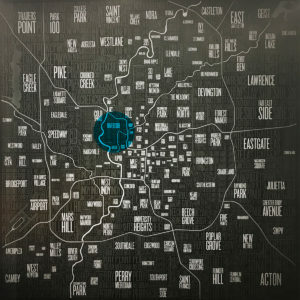 Learn more about the map and where you can get one for yourself here. 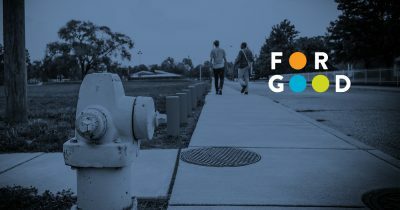 Welcome to For Good, Central Indiana Community Foundation’s podcast, highlighting stories about passion, purpose and progress in Central Indiana. At CICF, we believe in opportunity and equity. We believe that our communities and neighborhoods are stronger because of our diversity. And we believe that with innovation and boldness, Central Indiana can be a place where everyone can reach their full potential, no matter their place, race or identity. This is our community and these are your stories. It began as a streetcar suburb. 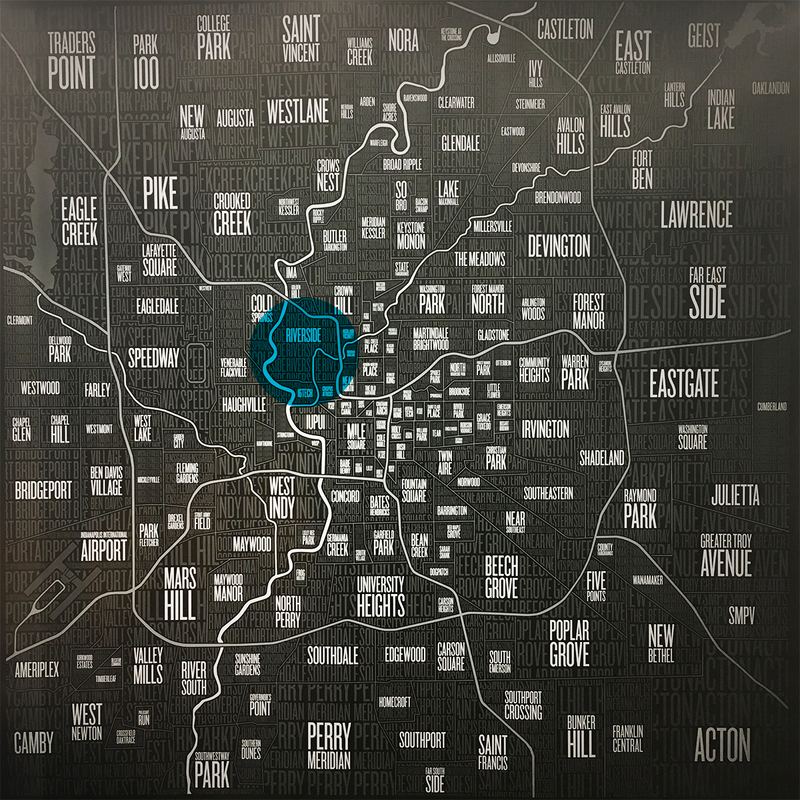 In Indianapolis’ northwest Riverside neighborhood, stores clustered at its busiest corners. American foursquares and bungalows still grace tree-lined streets. DEAMON: If you’re on Clifton, if you’re on Riverside, if you’re on Boulevard, they all have a particular flavor. But there’s also a strand, a thread that makes you feel like it’s all one neighborhood. The construction of I-65 brought change. Instead of traveling through the neighborhood, the public began traveling over it, overlooking the nearly 7,500 people who live and work here. DEAMON: This is an area that’s experienced chronic disinvestment, the result of institutional racism. There is a high rate of incarceration of re-entry folks. The annual income for a family is well below the median. So a lot of people wanting to live in a place that’s great and life-enhancing, just like anybody else, but having a lot of barriers to get there. 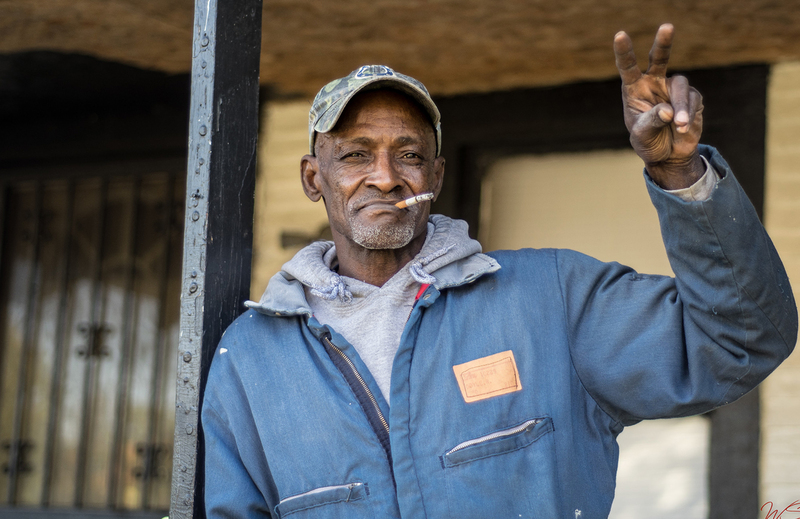 In the northwest Riverside neighborhood, DeAmon Harges is known as the roving listener. DEAMON: One of the things that we know, we need each other. Right? And so we have to practice that. So the best thing we know is about gifts and assets, so people share things. Harges is also one of 36 ambassadors recruited to help the Central Indiana Community Foundation better understand the opportunities and challenges in this neighborhood and throughout Central Indiana. DEAMON: But what I was born doing is being curious about people that live on the margins, because I grew up on those margins, of a lot of those margins. I don’t have a high school diploma. I struggle with depression, it cripples me. Right? But I’m in a lot of places, and I’m in those places because somebody saw something. And so my practice is to go and look and find people’s gifts and talents. Harges has found artists and storytellers. 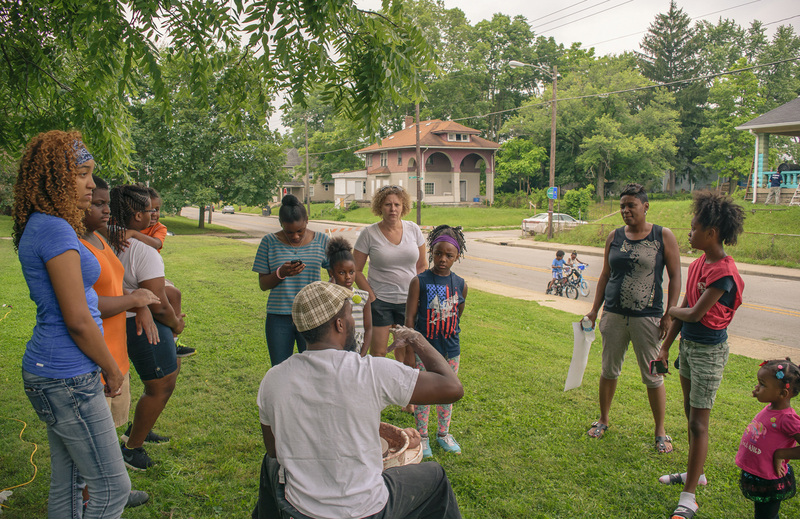 A stay at home dad who teaches chess to neighborhood children, a thriving community of gardeners, each one devoted to the neighborhood. DEAMON: I realize one thing. The role of a institution is to shine the light on what’s already going on in the community. 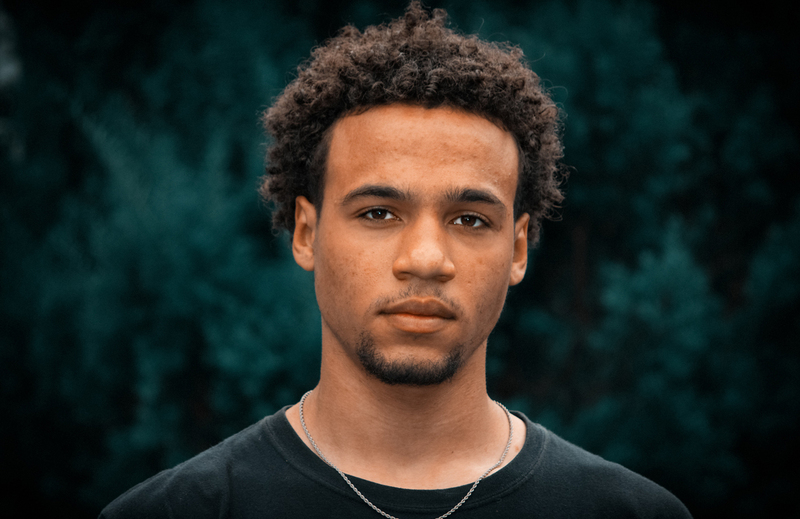 Through his community interviews as CICF ambassador, DeAmon found a strong sense of pride and collaboration, especially around initiatives that tackle barriers to success for disengaged young people. It’s 10:00 AM on a Wednesday, and about a dozen young adults, ages 18 to 27, have just arrived for work at Groundwork Indy. They gather for a morning meeting before setting out to work on revitalization projects in the neighborhood. PHYLLIS: In a situation where the adults around you are concerned about survival, there is sometimes not the bandwidth to give kids the positive attention they need. We can give them the attention they deserve and validate where they’re coming from. When you get that, it feels really good. Phyllis Boyd is the Executive Director of Groundwork Indy. 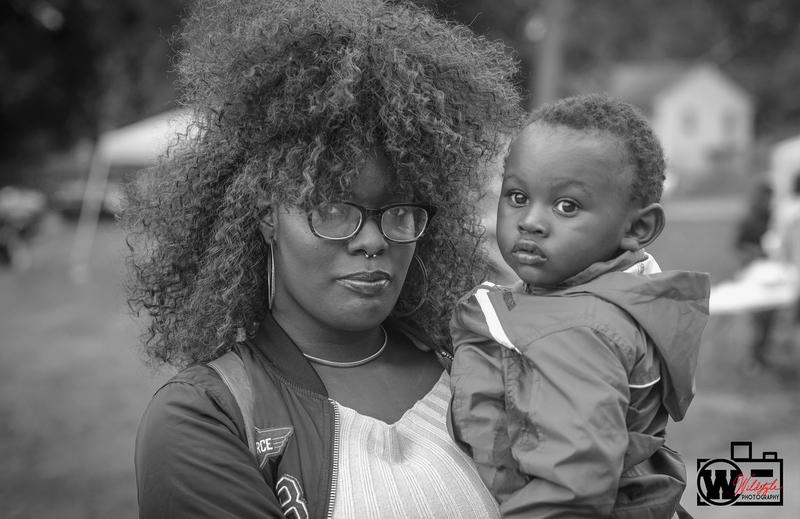 She hires and trains young people for the often strenuous work, a tactic that impacts both the community and the individuals. Luke Hazelton. LUKE: Phyllis could have easily got people that was qualified for the job. She wanted to see people that was from the neighborhood, that was in that environment, actually make the change in their neighborhood. Brandon Baker sees it too. BRANDON: What I realize is the really small stuff that we do actually makes a big difference. So like, yeah, cleaning out like gutters or like the stuff that we think is like so unimportant, it’s like so many of us doing that that it actually makes a huge impact. What I’ll see is when we put everything up, and we finish the day and I’m walking back home, random people will come out of their house and start cleaning up. Today, weather keeps the team inside to work on a hydroponics unit. Later, the team will finish building a bike generator. PHYLLIS: They’re not just out working on the manual labor piece of the projects. I mean, I’ll drag a lot of them to the community meetings. But I think they start to learn if you get engaged civically early on with things, that you can really impact what happens. BRANDON: The fact that they’re like reaching out and allowing us to have the opportunity to give back to where we … our stomping grounds, where we grew up, where we came from, and to try to help reach out to the younger crowds as well to learn something that could help them be self-sufficient, it’s remarkable, honestly. 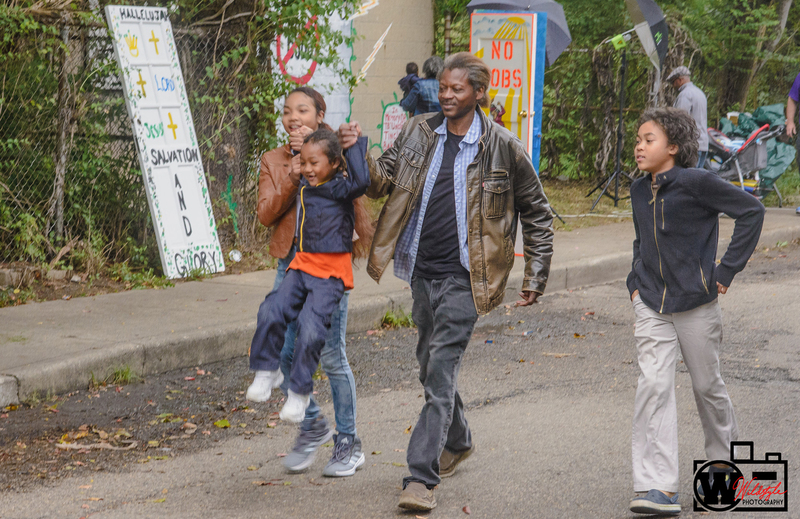 Three miles north is another organization, the Kheprw Institute, which also supports young people in the neighborhood. DIOP: In some cases, it can mean life or death. In our community, sometimes it’s hard to see that opportunity exists. And it’s even harder if you don’t have examples, tangible, feasible examples. Diop Adisa grew up here. His parents were engineers and entrepreneurs who started Kheprw Institute as a way of helping Diop and his friends learn life skills. DIOP: We would come in after school, and we would spend half the time working and the other half, uh, being mentored. And this whole time, they were grooming us, giving us the skillsets to do whatever we felt we would need to do in a variety of environments and contexts, and learning how to simultaneously teach ourselves. The institute is named for Kheprw, an Egyptian deity whose name means rebirth, renewal. DIOP: Once the community saw results in us, uh, we were the walking portfolio. So we started developing relationships with Shortridge, Broad Ripple, Manual. And then we started to mentor students through the same processes in these different schools. At any given time, as many as 20 young people are active with Kheprw, which turns their interests into life skills. Those interests include everything from community organizing, web development, computer coding and video production. DIOP: By allowing people to have voice and buy into change, they become believers that they are in control of their destiny. And that’s what we need, we need people to feel like this is something that I can do. 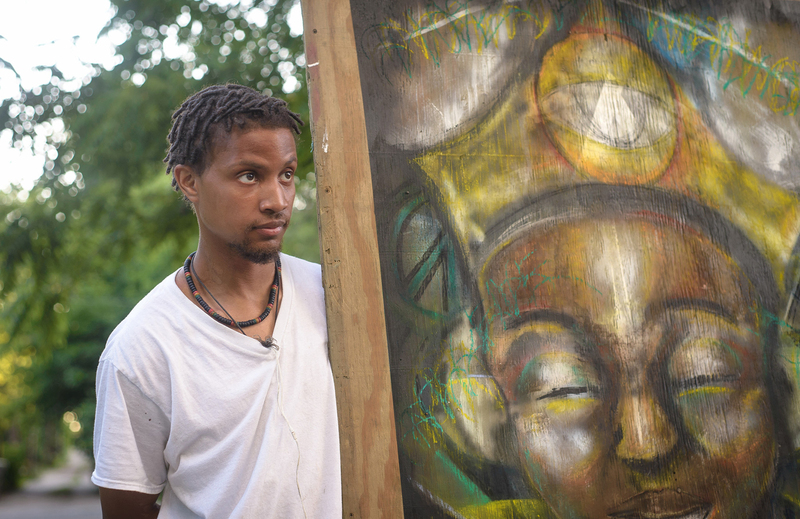 Kheprw exemplifies how helping young people achieve self-mastery can lead to greater equity and opportunity. It adds to quality of life here and makes neighborhoods stronger. Back on DeAmon Harges’ street, a boarded-up house stands out in a good way. The plywood on the doors and windows is covered with giant portraits of neighbors. A stream of people come in and out of Harges’ living room where he runs a not for profit called The Learning Tree, focused on uncovering people’s talents and gifts. DEAMON: You would think by the numbers that people don’t care. But you come in these living rooms, and you will find out these people are organized. DeAmon says it’s home gatherings like this where change and progress happen in the neighborhood. DEAMON: You know, there are several houses that you can go to around in this neighborhood that, that can gather more people than any meeting, any neighborhood association meeting, any firehouse meeting, any of those things. And, and it’s…they’re here. Jamahl, who also works at Groundwork Indy, has just arrived. DeAmon is an avid supporter of his work as an artist. 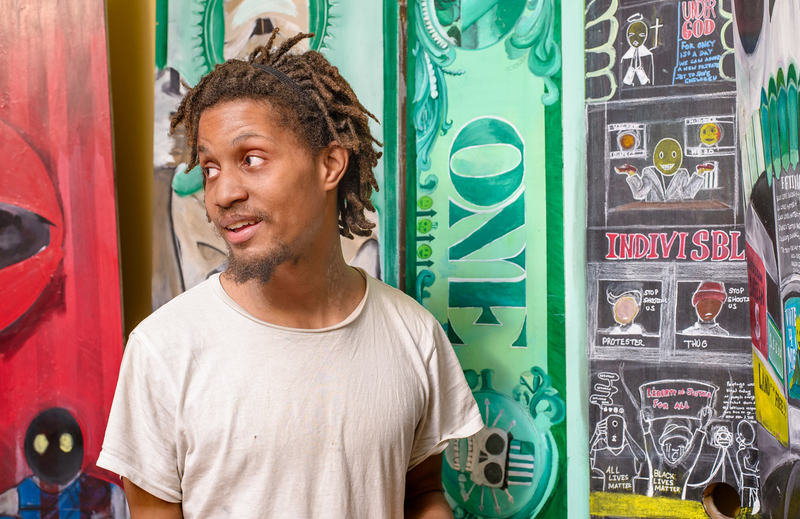 JAMAHL: I didn’t do anything but paint for like a living, so that was like really hard to do. And what Groundwork and Learning Tree as well, gave me the opportunity to actually like take that skill and actually apply it. Yeah, like it’s, it’s definitely change for the better for me. Like I, I can’t complain, it’s nothing but up from here. DEAMON: ‘What is the biggest need in your community?’ [laughing] That’s the wrong question. Our biggest need is the need to be needed. DeAmon’s neighbor and colleague, Keith Drazel, known as Wildstyle, agrees. WILDSTYLE: You can’t look at our community and, and look at spreadsheet of the crime, the violence, the poverty. Yeah, we could probably use less of that. But what we really need is for people to, to be supported in their dreams. And supporting people’s dreams is what DeAmon does by inviting neighbors to converse. It’s what Phyllis is instilling in the young adults at Groundwork Indy. It’s what Kheprw conveys by teaching youth to follow their passions. And it’s why CICF is continuing to listen to the community. We are Central Indiana Community Foundation, and you’ve been listening to For Good. If you liked what you heard today, we hope you’ll subscribe to For Good on your favorite podcast app. And while you’re there, don’t forget to leave us a review. Join us next month for more stories about passion, purpose and progress in Central Indiana. For Good is brought to you by Central Indiana Community Foundation, in partnership with WFYI Public Media. To learn more about how CICF is changing our corner of the world for the better, visit cicf.org. Thank you for listening.